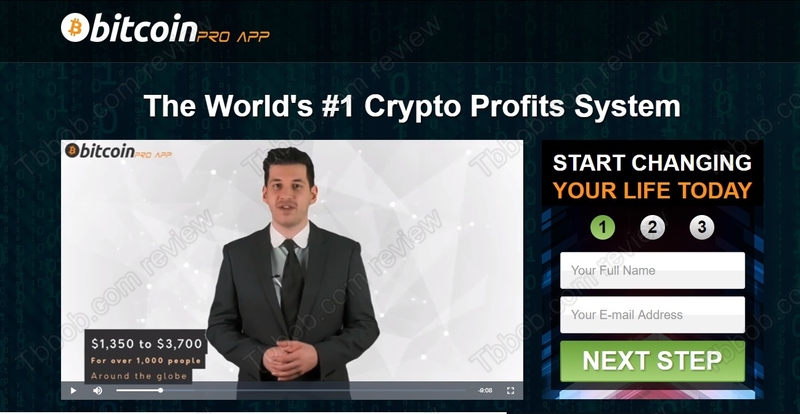 This Bitcoin Pro App review proves that this trading software is a scam that will lose your money. It is presented by James Robins. Bitcoin Pro App is supposed the be the world’s best crypto trading solution. It allegedly was developed by hundreds of developers and strategist and it should earn you at least $1350 per day in cryptocurrencies trading. And wait, miracles are not over, because the software is free. So, do you have anything to lose? Unfortunately, Bitcoin Pro App is just another crypto scam, a cloned one. It is not free, it will take your money and lose it. Let’s start with Bitcoin Pro App reviews. In the video you will see pictures of people who are allegedly earning money with this system. But they are not, the testimonials are fake. You can see the proof on our picture, it is not a picture of a user, it is a stock photo that anybody can buy. 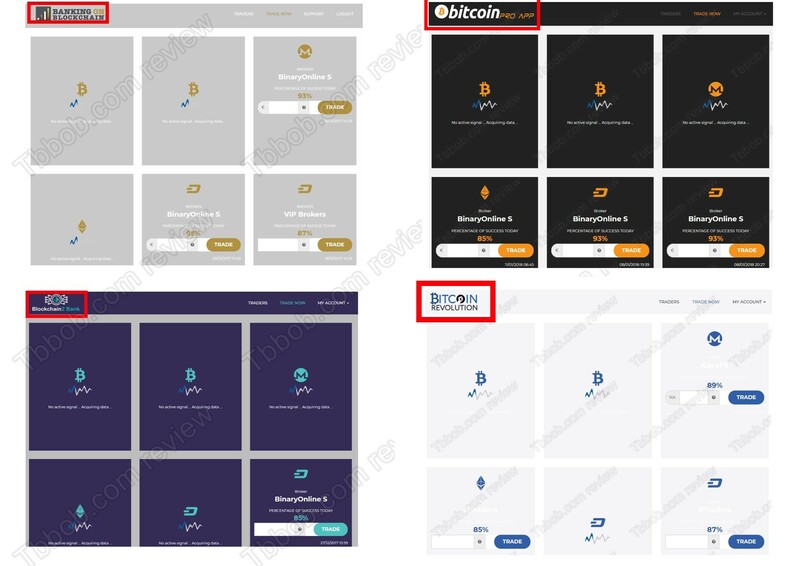 The best proof that Bitcoin Pro App is a scam is in the trading software that you will be given access to. It is a known scam app that loses money. As you can see on our picture, the same app is used also by scams like Banking on Blockchain, Blockchain2 Bank and Bitcoin Revolution. 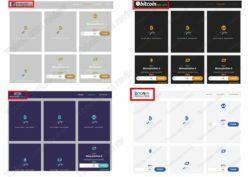 In fact, all these crypto scams have even very similar websites. Because this software is used by so many scams, we get a lot of feedback about from real users. And they all confirm to us that this app is losing money in real trading. In the Bitcoin Pro App video you are told that the system is completely free, that you can put away your credit card. But it is a lie. When you sign up, you will be immediately required to deposit at least $250 with a broker that you won’t be allowed to choose – BinaryOnline. What is worse, this broker is not regulated. Until you deposit, the software won’t be activated. So, obviously it is not free. The reason is that people who run this scam are getting paid by this unregulated broker for referring new depositors. So, they want to get paid first, only then they will let you find out that their trading platform is losing money. But it will be too late for you, nobody will be able to help you to get your money back. Bitcoin Pro App is a dangerous scam that is losing money in trading, stay away from it! If you are interested in making money with cryptocurrencies, you can try a really free demo with a regulated broker to see how it works. Remember that trading is always risky, when you trade with real money, you can win, but you can also lose.